News from my friend Valeria Lenuzza who is involved in the museum education section of this exhibit about Mexico held in Rome. 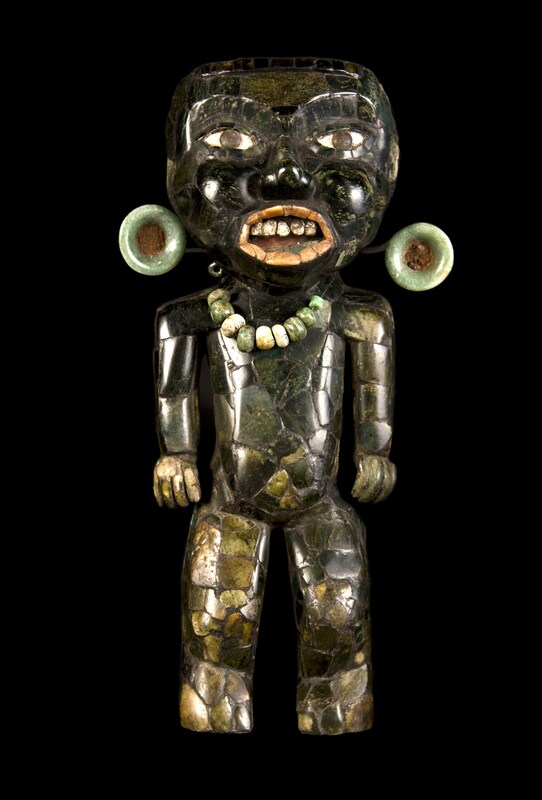 A wonderful exhibition entirely dedicated to Teotihuacan, the first great empire in the pre-Columbian America, opened at the beginning of November in the Palazzo delle Esposizioni in Rome. 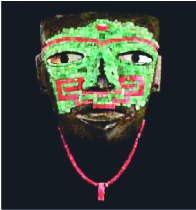 It is organized by the Instituto nacional de Antropologia e Historia and curated by Luis Felipe Solís Olguín, archaeologist, historian and Director of the National Anthropology Museum in Mexico City. The exhibition is part of a wider project to celebrate the bicentenary of the birth of the Mexican nation and the centenary of the Mexican revolution through three different exhibitions, all hosted at the Palazzo delle Esposizioni and dedicated to crucial stages in the history of Mexico: the earliest Mexican empire and the Teotihuacan civilization; modern history with a photographic show on the Mexican revolution; and, finally, the contemporary art and culture through the artworks by Carlos Amorales. This article is dedicated to the first of the three shows. The exhibition on Teotihuacan is travelling to different cities in Europe (among these Berlin, Zurich, Paris and Madrid) and represents a unique occasion for Europeans to approach this civilization. Indeed, it is the first monographic show devoted to the Teotihuacan culture in the whole history of the research at the site, with the sole exception of “Teotihuacan. Art from the city of the gods” held in M.H. de Young Memorial Museum at San Francisco, CA, in 1993. Stone architectural decorations, marble, obsidian and greenstone (jadeite) sculptures, precious and colourful wall-paintings, polychrome vases, small clay figurines guide the visitor to discovery the remote and fascinating Teotihuacan civilization, often completely unknown to Europeans. Teotihuacan was a powerful city-state, ruling on a wide area roughly corresponding to the central part of the modern Mexico, to the North of the Yucatan peninsula, between the Ist century BC and VIth century AD. 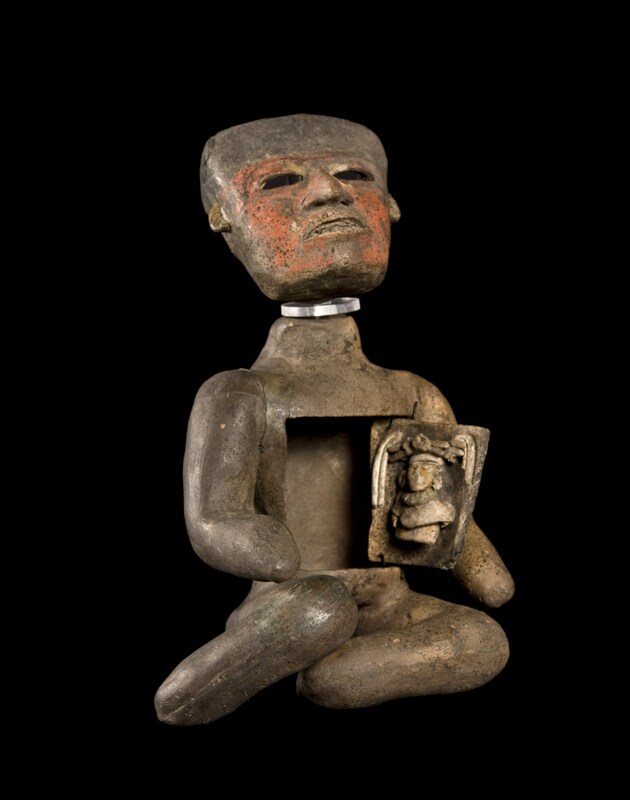 It reached highest levels in architecture and art and in political, religious, and social organization and became a model for the succeeding Mesoamerican empires. 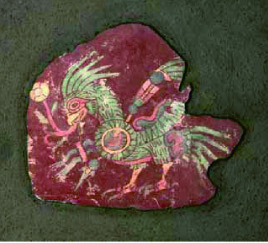 Europeans never encountered it, landing on American shores only in the XV century AD, but many aspects of the culture into which they entered derived directly from Teotihuacan seeds. 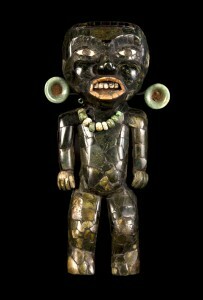 The Aztecs were the direct descendants of the Teotihuacan culture. After the collapse of the city-state for a destruction by fire due to unknown causes, they developed a new, powerful empire in the same region, built on the Teotihuacan model and surrounded the city with a legendary aura, giving it its modern name. The Aztecs were the first to call it ‘Teotihuacan’, namely ‘the city of gods’, the place where the gods gathered and sacrificed themselves for giving a new birth to the world and recreating the heavenly bodies, a new Sun and Moon and a new humanity. The exhibition on Teotihuacan in Palazzo delle Esposizioni is really worth a visit for the amount and the high artistic quality of the findings, together with the beauty and clarity of the arrangement. 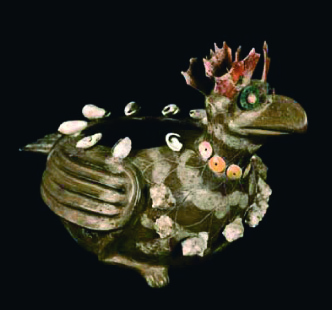 More than 400 objects are displayed, borrowed from 11 mexican and 3 european museums and never gathered together before. The visitor enters the building and the exhibition through a monumental staircase, which recreates the aspect of the steps leading to the summit of the Temple of Quetzalcoatl, the sacred Feathered Serpent, and walks through the entrance hall dominated by a polychrome stone pediment representing the fore part of a jaguar, icon of the political power, decorated and surrounded with stars and other cosmic symbols. The objects are arranged according to seven main topics, each one hosted in one of the seven galleries surrounding the hall at the ground floor of the palace. In each room, the single topic is finely introduced through key pictures, elements or sounds. Sacred mountains represented on the wall indicate the tight connection between sacred architecture and nature in the first gallery; a virtual fire burns the wall of the second gallery to communicate the destruction caused by war and military power; imaginary drops of blood, created with light effects, fall from the ceiling of the third gallery for the theme of religion and sacrifice; the sounds of a water fall in the next room alludes to natural and cosmic cults; and so on. 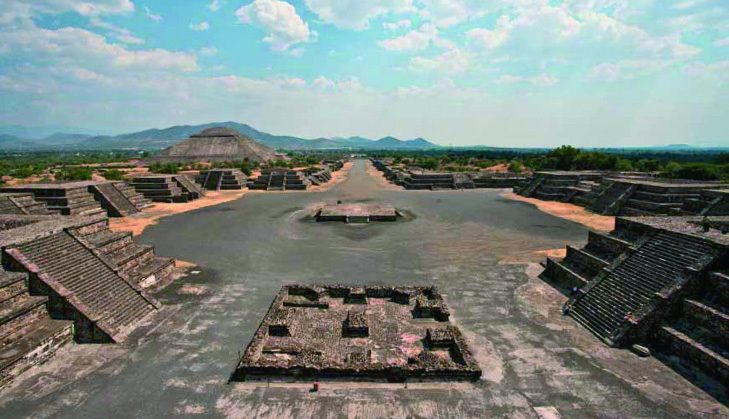 In the first hall, a scale model of the ceremonial town center allows the visitor to enter the Teotihuacan perspective, with the support of a video with tridimensional and interactive reconstructions. Then, keep walking, slowly, statues and masques in different precious materials, colorful murals and ceramics, jadeite jewels, big accurately worked shells, clay gods and warriors, sculptures attesting human sacrifice rituals, coral inlays, huge obsidian blades catch the visitor to take him deeper and deeper in the marvelous archaeological testimonies of the Teotihuacan civilization and to take his breath away. Hours: Sunday, Tuesday, Wednesday, Thursday 10-20; Friday and Saturday 10-22:30; closed on Monday.